Brad says this is something about measuring time. 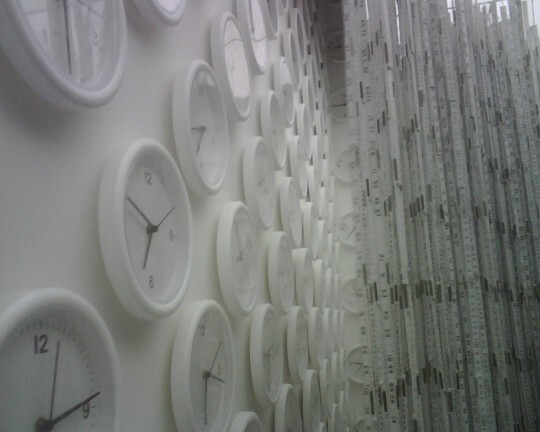 Not pictured: numerals from the clock faces scattered all over the floor. Posted on Wednesday, September 23rd, 2009 at 3:25 pm. Filed under: Blog, Team Guate	RSS 2.0 feed.